Junior midfielder Harlowe Steele runs up the field during the Aztecs 22-2 victory over Presbyterian on March 5 at the Aztec Lacrosse Field. 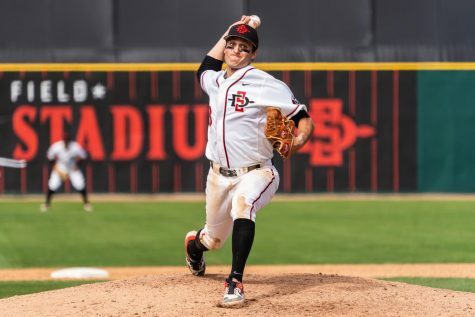 San Diego State lacrosse has been on a roll after winning three straight games to improve to a record of 5-2. 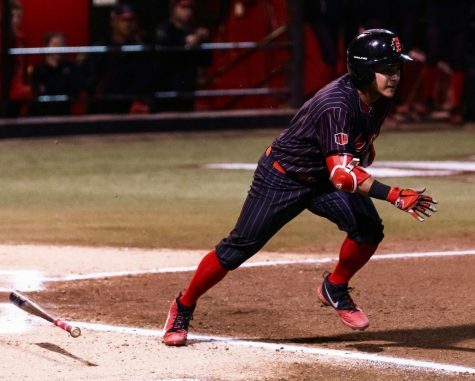 The Aztecs defeated Niagara by a score of 18-16 on March 6, one day before a 22-2 victory over Presbyterian on March 5, and four days after beating St. Bonaventure by a score of 19-3. The team has been the beneficiary of strong attacking play from junior midfielder Grace McGinty, junior attacker Kirstie Greenlaw, junior midfielder Jill Haight, redshirt freshman attacker Lexi Tan and junior midfielder Natalie Peel. Peel and Haight each netted hat tricks against the St.Bonaventure, while combining for seven total draw controls. Haight also scooped up two ground balls and caused two turnovers against St. Bonaventure, and was named MPSF Defensive Player of the Week on March 5. McGinty scored a career-high four goals while registering two draw controls against the Blue Hose, while Greenlaw, Haight and Tan each contributed hat tricks. 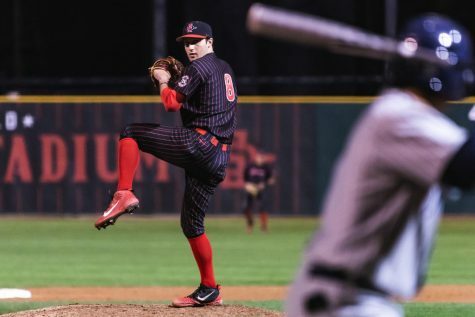 Prior to recent success, the Aztecs were coming off two straight losses against No. 21 Denver and No. 20 Colorado during a road trip to the Rocky Mountain State. Still, even before the Aztecs took off with their current two-game winning streak, junior midfielder Harlowe Steele said the team has been clicking. SDSU lost both games by a score of 17-12, with the team finding themselves in deep holes going into halftime. 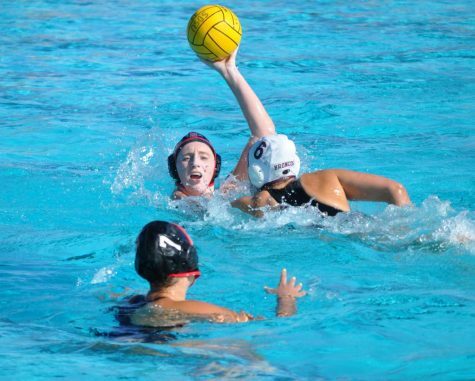 The Aztecs faced a deficit of 14-3 against Denver at the break, before Haight scored four goals to help the team storm back with nine second-half goals. After the loss to Colorado, head coach Kylee White said that she wanted her team to play complete games. SDSU will conclude its four-game homestand when it takes on Boston College on March 10. Boston College has had success in recent years, making it all the way to the NCAA National Championship last season before losing to Maryland. Steele said that she expects Boston College to be a very challenging opponent. The Aztecs season has been highlighted by impressive performances from Steele, freshman midfielder Bailey Brown and redshirt sophomore goalkeeper Katy Sharretts. Steele has 14 goals in seven games this season, and is off to a hot start after facing offseason adversity following an injury. “I’m very impressed with (Steele’s)ability to come back from a major injury. She had surgery in November, and she worked her tail off to get healthy and come back,” White said. “It shows great leadership just in her ability to work hard. 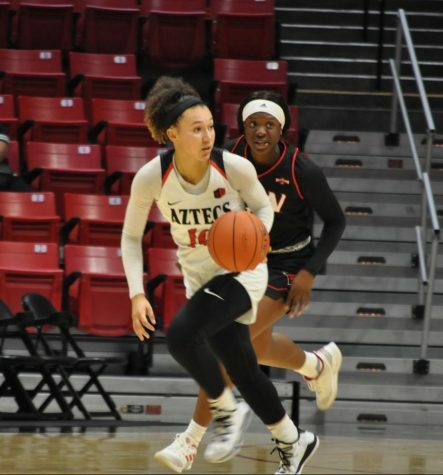 Steele was named MPSF Offensive Player of the Week on Feb. 12 and Feb. 19, and she scored four in the Aztecs season opener against Cal before notching a career-high five goals against Arizona State on Feb. 17. White said that Steele is a force to be reckoned with on the playing field. One of Steele’s favorite parts about playing lacrosse at SDSU is the support and encouragement she receives from her teammates. 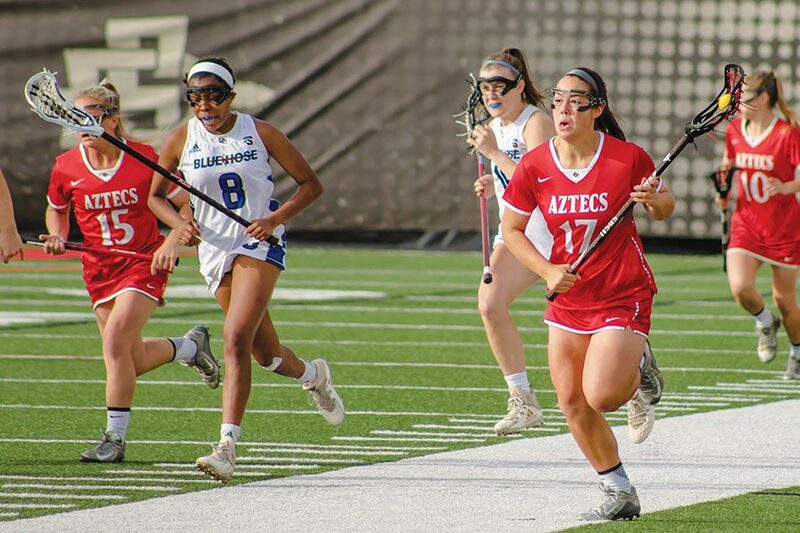 Brown, who is competing in her rookie season on the Mesa, shares a similar experience to Steele’s and comes from a different lacrosse environment. “I’m from Texas, and lacrosse is not that big, so coming here is super fun and a lot more competitive,” Brown said. Brown has made a statement off the bench, tallying four goals, 24 draw controls, seven ground balls and three caused turnovers in seven games. She was named MPSF Rookie of the Week on Feb. 19 and Feb. 26 for her performances against Arizona State, Denver and Colorado, respectively. 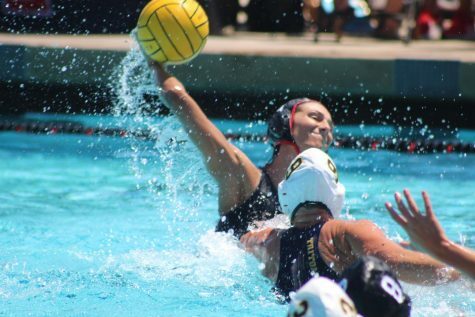 Sharretts, meanwhile, has solidified her role as the Aztecs starting goalkeeper, appearing in all six games this season. Sharretts has 59 saves and nine ground balls in seven starts this season, and was named MPSF Defensive Player of the Week on Feb. 26 after recording 14 saves in both performances against Denver and Colorado. 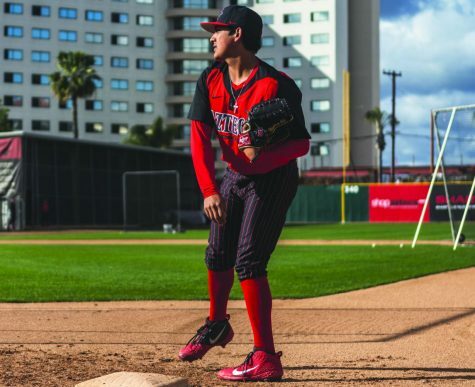 White believes that Sharretts will continue to improve as the Aztecs starting goalkeeper. Brown echoed White’s praise for Sharretts’ recent string of impressive performances.